Merrythought Sunny Discounts Apply ! 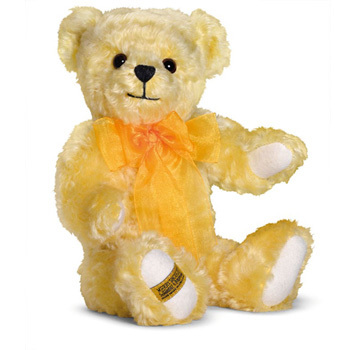 Sunny is a cheerful daffodil yellow coloured bear made from a lusciously dense wavy mohair and finished with a delicate organza ribbon and big friendly smile. .